Welcome to the New Phyt blog, the official blog of the New Phytologist Trust! Find out more about our contributors, editorial and linking policy below. Do you have a great idea for a blog post? Write to Mike at m.whitfield [at] lancaster.ac.uk. Mike is Development Coordinator at New Phytologist. 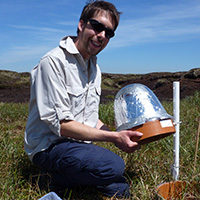 He edits the blog and looks after the New Phytologist Trust’s online presence. Mike has a PhD in Biological Science from Lancaster University and tweets at @mgwhitfield. 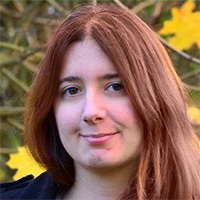 Sarah Jose is a science writer and communicator with a PhD in Plant Science from the University of Bristol. She specialises in plant science and biology, and is the Global Plant Council’s New Media Fellow. Sarah tweets at @JoseSci. On the New Phyt blog we link to internal and external sites. Internal websites include the New Phytologist Trust website, and the New Phytologist journal homepage at Wiley Online Library. We select links based on their editorial relevance in context and their suitability for our likely audience. We do not link to external websites in exchange for payments or services of any kind. Links to external sites are reviewed when published. However, the New Phytologist Trust is not responsible for the content of external websites because it has no jurisdiction over their content or maintenance. Links to external websites do not constitute an endorsement of the content on that website, the website’s owners, or any products or services.